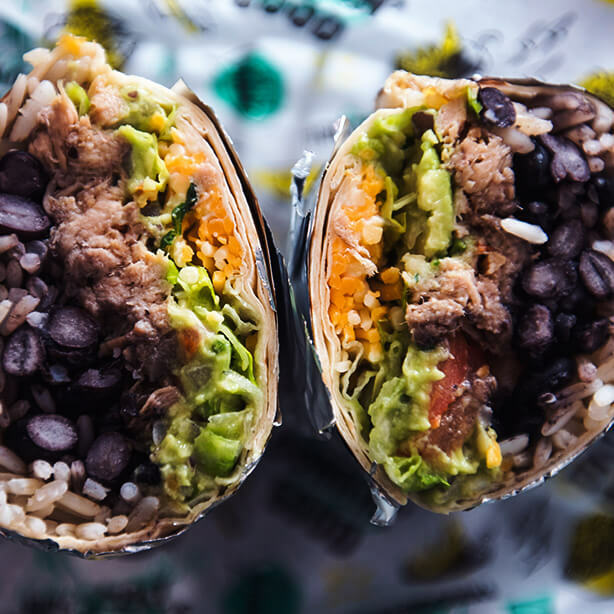 DONKI is a California style burrito bar where you can eat fresh and fast. First you order your dish at the counter where you see it being assembled in real time. 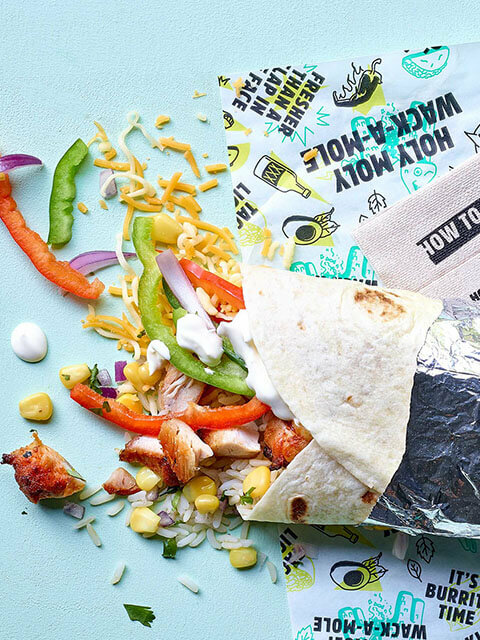 You have enough choices to customize your burrito. 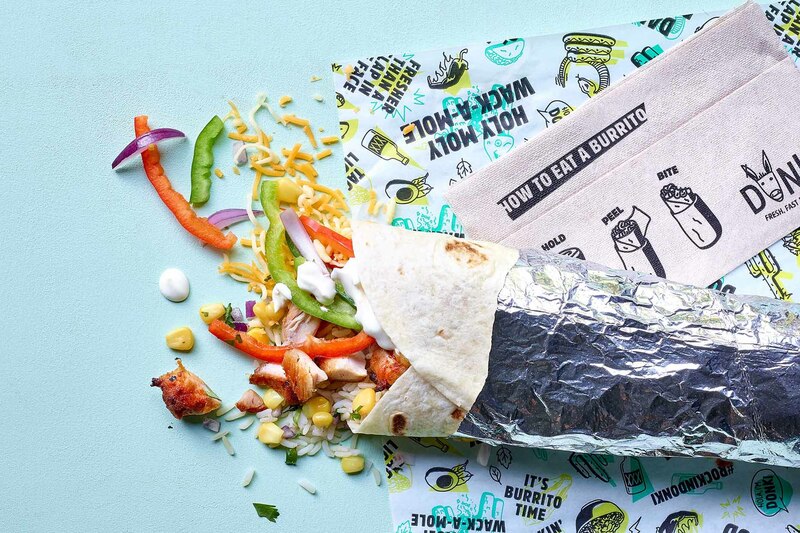 Those who don’t want a burrito can try out our beloved tacos, salad or naked burrito (burrito without the tortilla). We only use fresh vegetables and meats. From our marinades to our über famous lemonades, they are all homemade following our own recipes. For little money you have a tasty, fresh and complete meal. At DONKI you can eat in our out. In DONKI Stéphanie and DONKI Jourdan we offer delivery service. Go to ‘DELIVERY’ and order your dish and have it delivered at your place. Enjoy! Hi there! We are Pierre and Xiomara, brother and sister and we opened our first DONKI in Leuven back in 2013. 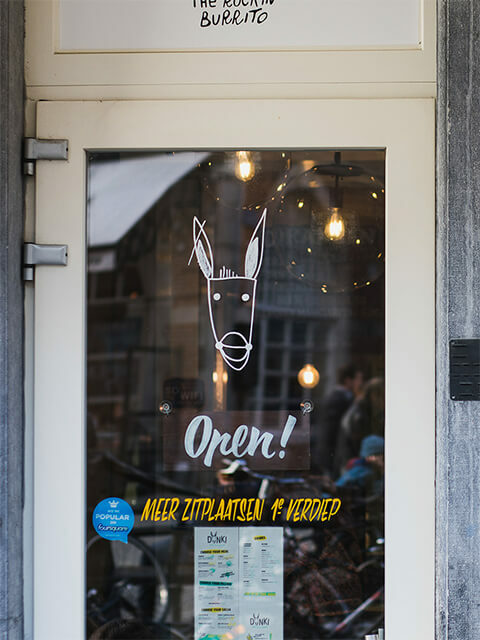 What an honor to be the first burrito bar in Leuven! We are two young entrepreneurs with Nicaraguan origins, who grew up in West Flanders in an entrepreneurial family. In our childhood we were raised between two cultures, with an amazing cook as a mother who served us a range of flavors. One day we would have Flemish stew with french fries while the other we would eat rice with black beans and a giant corn tortilla. Our parents believed in the enriching power of travelling, which helped us develop a multicultural view of the world during our childhood. During these travels we discovered a variety of food concepts. 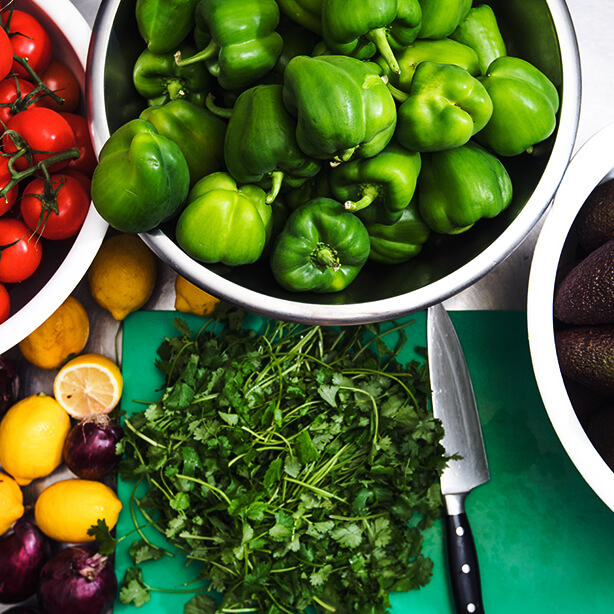 From street food to culinary orgasms in gastronomic restaurants. The flavors and smells reminiscent of our adventures brought us to the origins of our concept. 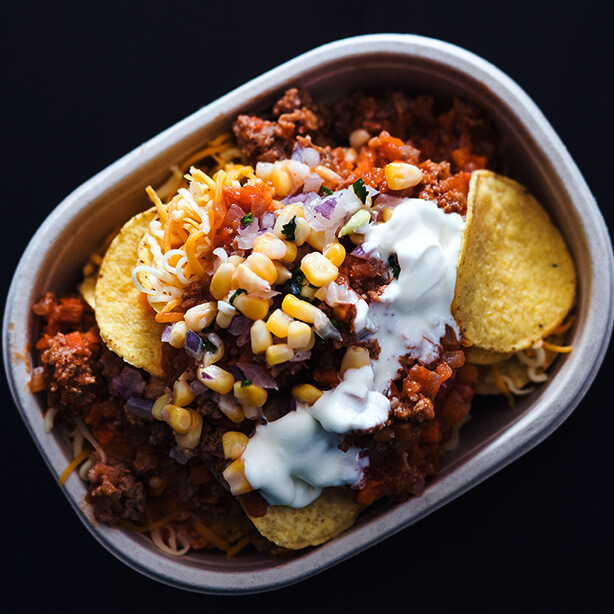 Our very own simple restaurant where Mexican and Californian style burritos influences characterize our dishes and where taste and freshness excel. The startup of our first location has been one of our biggest challenges which we will always remember. Despite our positive drive and adrenaline we ended up physically exhausted. The adversities during our first years confronted us with a reality check from which we drew big life lesson and which helped us define our mission. From then on, we promised ourselves to have fun during our entrepreneurial adventure with our team. Now, a few years later, we have broadened this vision to our local community under a big DONKI social project. We believe that DONKI isn’t merely here to still all burrito cravings, but to give back to our local community. We decided to materialize our gratitude and success in a big social project. We got inspired by the philanthropic philosophy of our grandmother. She, also an entrepreneur, would go several times a year to the most remote villages in Nicaragua. She would be accompanied by a large group of family and friends to offer a homemade feast meal. For this occasion she would also donate a piñata and gifts to give the kids a special day to remember. In 2017 we started a social project which we named the PIÑATA PROJECT. It entails organizing parties several times a year where we provide piñatas, burritos and goodie bags. We focus on the underprivileged disabled children. Our goal is to give them a special day to remember.